Through screens in our phones and homes, Javaad Alipoor plugs us into the darkest corners of the internet, a place that is home to a bewildering world of extremists and fantasists. Artist, writer and activist Alipoor and director Irshad Ashraf step into the dark, blurry online world of fantasists and extremists to tell four fictional stories - of an ISIS recruiter, two British recruits and an alt-right ‘white boy’ from California. Extremists communicate openly on social media and young men find power in digital fantasy, unleashing their wrath on the world. 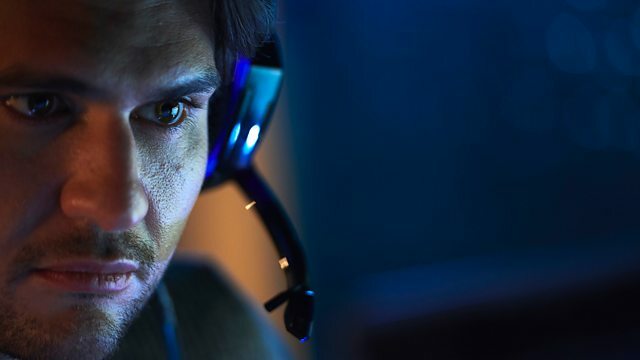 Alipoor’s fictional play captivated audiences with its portrayal of a shifting world of truth, fantasy, violence and hyper-reality just one click away and his television adaptation promises to take BBC Four audiences deep into this digital realm. Through the screens on our phones and in our homes, and the apps we use every day, he explores this complex and controversial world via an electronic maze of meme culture, 4chan, the alt-right and ISIS. Along the way he uncovers a toxic mix of the harmlessly bizarre and the horrific, gaming and chatrooms, infamous ads and propaganda, brutal misogyny and weird fantasy, where, seemingly cut off from real world values and boosted by anonymity, anything can be said or done.